Having excellent credit opens up a world of credit card options – with amazing rewards, perks and longer promotional interest rate offers. The hard part isn’t finding a great credit card, it’s narrowing down your choices to just one. When you’re choosing the best credit card for excellent credit, look at the signup bonuses, perks and the annual fee. Consider your usual spending habits and goal for your credit card – e.g. to earn more cash back or pay off a high-interest rate balance – to choose the right one. Need some help? Read on to see the best credit cards to apply for if you have excellent credit. 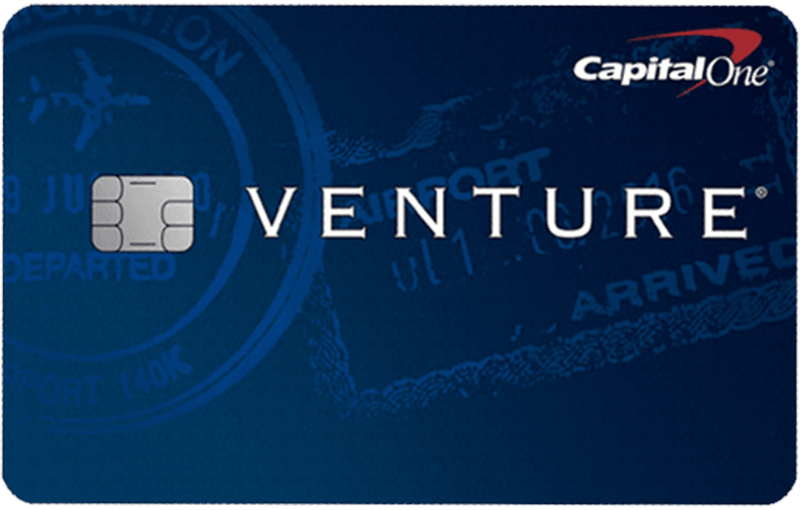 With the Capital One Venture credit card, you’ll earn 50,000 miles once you spend $3,000 on purchases within 3 months from account opening. It’s one of the biggest one-time-bonuses of any credit card. Ongoing, you’ll earn two miles per dollar on all your purchases. The flat rate rewards structure makes it easy to track the rewards you’ll earn. You don’t have to tailor your spending. Want to earn more rewards on purchases? Book with Hotels.com and earn 10 miles per dollar when you pay with your Capital One Venture credit card. Important Pricing: The regular APR for purchases and balance transfers is 17.99% - 25.24%, based on your creditworthiness. The $95 annual fee is waived in the first year and there’s no foreign transaction fee. The Platinum Card from American Express gives you a whopping 60,000 Membership Rewards points after you spend $5,000 in your first three months. Ongoing, you’ll earn five Membership Rewards Points for every dollar you spend on eligible hotels you book on amextravel.com and on flights you book with directly with airlines or with American Express Travel. You’ll earn one point per dollar on everything else. Cardholders can earn up to $200 in Uber rides plus another $200 airline fee credit each year that covers incidentals such as baggage fees, in-flight meals and other fees charged by one qualifying airline that you preselect. Important Pricing: The annual fee is $550. This is a charge card, which means you’ll pay your balance in full each month and pay no interest. The ability to earn 6% cash back on U.S. supermarkets makes BlueCash Everyday from American Express a great credit card for families. You’ll earn more cash back on all those grocery store visits. The 6% rewards rate is capped at $6,000 in supermarket purchases. You’ll also earn 3% cash back at U.S. gas stations and select U.S. department stores and 1% cash back on everything else. Earn $200 cash back when you spend $1,000 on your credit card in the first three months of opening your account. Unfortunately, balance transfers don’t count toward earning the spending bonus. You’ll have to make purchases if you want to earn the bonus. The BlueCash Everyday Card from American Express offers a 0% introductory APR on balance transfers and purchases for the first 12 months. Important Pricing: The regular APR is 15.24% to 26.24%. The annual fee is $95. The Discover it pays 5% cash back on up to $1,500 in purchases in categories that rotate each quarter. Just make sure you register online or through the mobile app to earn at the 5% rate. All other purchases earn 1% cash back. As a bonus for new cardholders, Discover will automatically match the cash back you’ve earned at the end of the first year. You can also take advantage of the 14-month 0% introductory APR on purchases and balance transfers. Discover also offers Freeze it, an on/off switch that allows you to prevent unauthorized use of your credit card. Plus get your FICO score free each month on your billing statement. Important Pricing: The regular APR is 13.99% to 24.99%. There’s no annual fee. Check out our other reviews of the best money-back credit cards available on the market today. When you’re transferring a large balance, the balance transfer fee can really add up. With the Chase Slate, you won’t pay a balance transfer fee on any balance you transfer during the first 60 days of opening your account. After that, the balance fee is 5% of the amount transferred or a minimum of $5, whichever is greater. On a $10,000 balance, you’ll save $500 just by transferring your balance sooner. Enjoy a 0% introductory APR on purchases and balance transfers for 15 months from account opening. After that, the regular APR of 16.99 to 25.74% applies. There’s no annual fee and no penalty APR if you miss a payment. As a Chase cardholder, you can stay on top of your credit score with access to a free FICO score each month, as well as the five primary factors are affecting your score. If you’re looking for a credit card that will pay you great rewards for hotel stays, the Starwood Preferred Guest Credit Card is an excellent choice. Earn 75,000 bonus points after spending $3,000 in the first 90 days. Ongoing, you’ll earn two Starpoints per dollar on purchases at eligible Starwood hotels, two Starpoints per dollar on purchases at participating Marriott Rewards hotels and one Starpoint per dollar on all other purchases. You can redeem your rewards toward stays at participating SPG properties, which include St. Regis, W Hotels, Westin, and Four Points by Sheraton. Important Pricing: The APR is 17.99% to 26.99% on purchases, the $95 annual fee is waived in the first year and there is no foreign transaction fee.